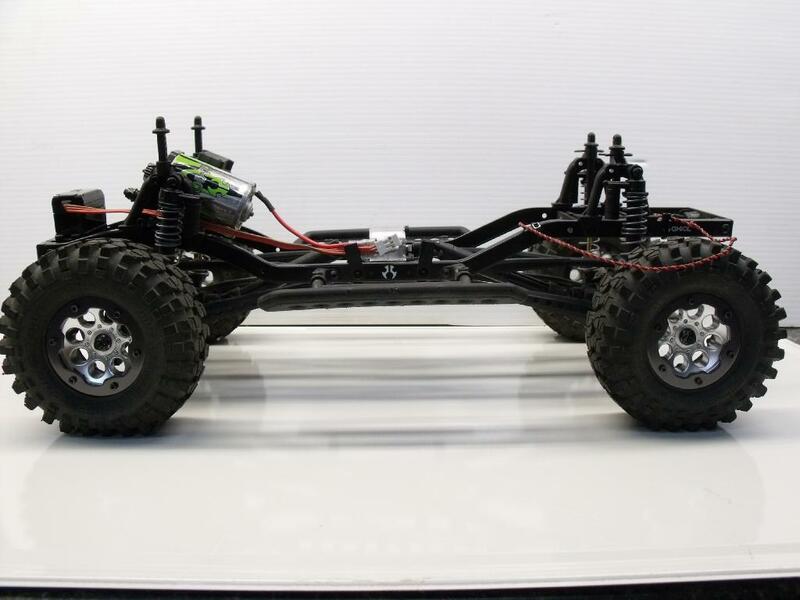 on the nose of the SCX10 frame, and make tons of room in the center for an interior, for your custom build. 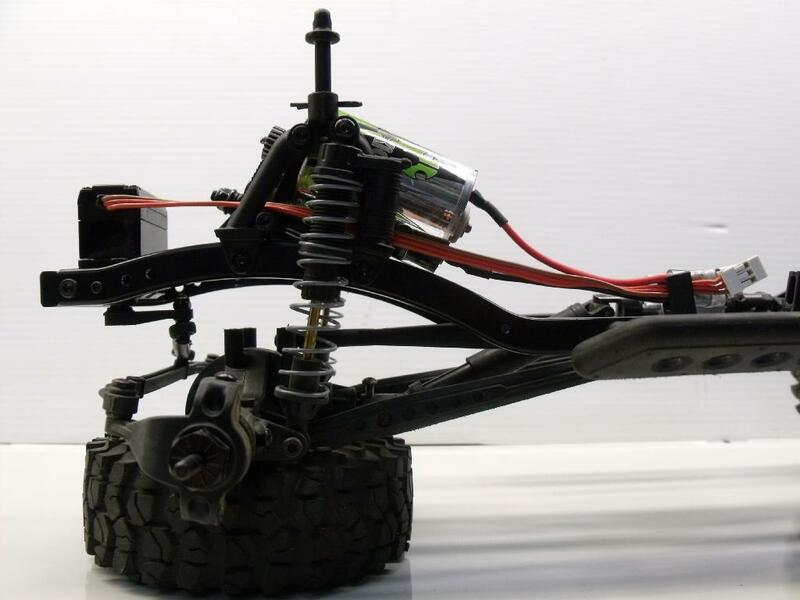 It's as easy as removing the stock servo, and axle mounting plate. Remove the front bumper mount also. Then slide in the new GCM bumper and servo mount, bolt on the servo again, and re-attach the servo linkage. Done. That's it! Next for the motor mount, follow the steps below. This process listed below WILL move your body posts OUTward from the center by about 12mm on each side, though. If you are in the middle of building a truck, and don't have mount holes in the body, this is no problem, but if you are re-using an existing body, you will need new body post holes to make this work. Step 1: Remove shocks, and then Remove the shock towers, and take the left one, mounted the SAME WAY, but on the right side. Take the right side one, keeping the FWD leg to the front, and mount it on the left side. That's it. Step 2: Re-install shocks into the REARward mount holes. Step 3: Assemble the motor/trans on the new mount plate using the NEW plate as a replacement for the axial motor mount plate. That's it. Take off the stock plate, mount up the new plate, done. Step 4: Slide the new mount, with trans and motor etc installed, right into the position as shown below, and insert the 4 new mount screws (provided) through the top tower at the FWD shock position and the lower front shock tower screw hole. DONE. Step 6: Assemble and Install the GCM Transfer case in place of the stock center trans. It will directly fit to the 2 outside mount holes in the skidplate, and we include new screws and nuts for mounting. Step 7: re-install your center FWD and Rear driveshafts on the T-Case, and then add one more same length shaft (not provided) to the T-Case up to the trans at the front. The 'intermediate shaft' length from the trans to the T-Case is a maximum of 105mm total length. 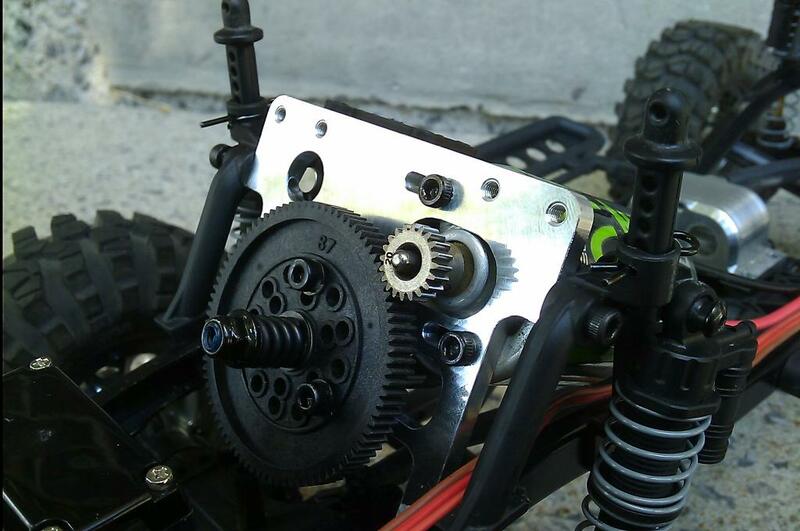 Comes with all hex hardware for the servo mount, motor mount, and transfer case. Requires user to install a 3rd center drive shaft, not included. All GCM parts in this kit are BLACK anodize. Pictures use silver parts for clarity only. 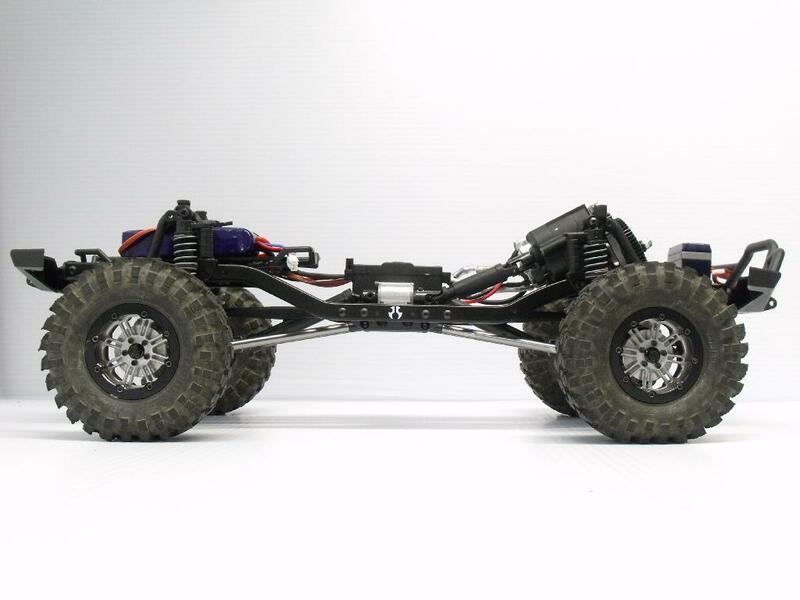 The Combo Kit includes a single servo bumper mount for stock bumper mounting and one servo. 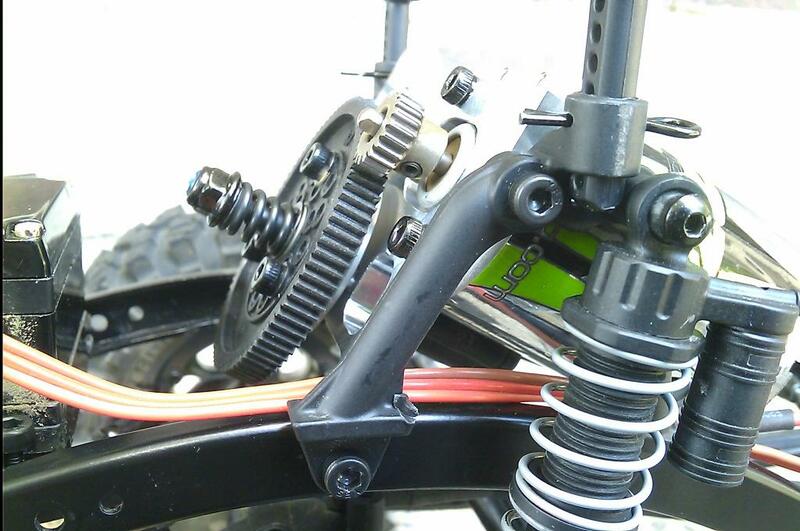 The dual servo mount which is also available in this section will get you a second mount for a servo winch, but does NOT allow stock SCX front bumper mounting. Aftermarket bumbers must be used with the Dual Servo mount.